The economic agreement President Trump said he reached with Chinese leader Xi Jinping on Saturday showed signs of unraveling Tuesday, with the White House threatening new penalties against Beijing and multiple officials seeking to downplay expectations for an eventual deal. Investors, who had applauded the deal on Monday, turned sharply negative Tuesday. In midday trading, the Dow Jones industrial average had dropped more than 800 points or about 3 percent. The Standard and Poor’s 500-stock index and tech-heavy Nasdaq were also down about 3 percent. Trump, in a series of Twitter posts, threatened to slap a range of import penalties on Chinese products if they did not make major changes in their economic relationship with the United States. This is a much different characterization of the China talks than just three days ago, when Trump had dinner with China’s president at a meeting of the Group of 20. After the dinner, Trump said they reached the framework of a deal that would come together in 90 days. He later said China had committed to buying large amounts of U.S. agricultural products and completely removing all tariffs on U.S. automobiles, a huge shift from its current 40 percent penalty. Chinese officials, meanwhile, did not confirm any of these details. They wouldn’t even acknowledge that there was a 90-day deadline under which they were operating. In the past 24 hours, there were signs that White House officials were beginning to backpedal from some of their initial optimism. In his Twitter posts on Tuesday, Trump said they might need an extension if the 90-day timeline didn’t prove sufficient. Meanwhile, White House National Economic Council Director Larry Kudlow said there wasn’t an actual agreement for China to remove auto tariffs, but that he expected China to eventually do it as a measure of good faith. He also said that China’s vice premier, Liu He, had told him there would be changes made “immediately” to show the Chinese were serious about a new agreement. But Kudlow acknowledged Tuesday that so far they haven’t seen any evidence of concrete steps being taken. “I have no assurances” China will change, Kudlow said, speaking at an event hosted by the Wall Street Journal. He acknowledged that Chinese leaders have stopped short of following through on deals in the past, but he said he believed the involvement of Xi in the discussions Saturday would lead to a different outcome. “It looks to me that the ball is being moved in the right direction,” Kudlow said. There are significant differences between the two governments over what was agreed at the dinner, according to a side-by-side comparison of their post-meeting statements prepared by Bloomberg. 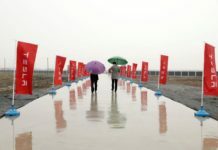 The Chinese have not acknowledged a 90-day deadline for the talks or said that they plan to “immediately” increase purchases of U.S. farm goods. Chinese officials are puzzled and irritated by the administration’s shaky handling of the meeting’s aftermath, according to a former U.S. government official who has been in contact with them. Even before the Buenos Aires talks, Trump last month had stated incorrectly that the Chinese government “got rid of” the Made-in-China 2025 program of subsidized technology development in response to his objections. The comments by the president and his top advisers over the past 48 hours have only added to China’s confusion about their negotiating partners. “You don’t do this with the Chinese. You don’t triumphantly proclaim all their concessions in public. It’s just madness,” the former official said, who asked for anonymity to describe confidential discussions. White House national security adviser John Bolton, who also attended the Saturday meeting, said the verdict was still out on what China would ultimately do. Trump has argued that China for decades has abused global trade rules to lure away U.S. jobs, steal U.S. intellectual property, subsidize its own companies, and strong-arm U.S. firms. Many Democrats and Republicans, as well as global leaders, have agreed with Trump’s assessment, and he has taken an adversarial approach with Beijing, saying he believes this is the only way to force changes. That approach so far has amounted to slapping tariffs on $250 billion of Chinese imports and vowing to impose penalties on all other imports if China doesn’t make changes. 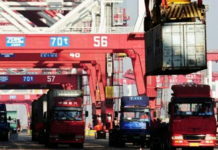 The changes U.S. officials have sought include forcing Beijing to lower tariffs on U.S. goods, stop dumping cheap steel and aluminum into foreign markets, and halting the theft of intellectual property, among other things. As part of the talks Saturday night, Trump agreed not to increase existing tariffs on Chinese goods or impose any new ones for 90 days, while talks took place. 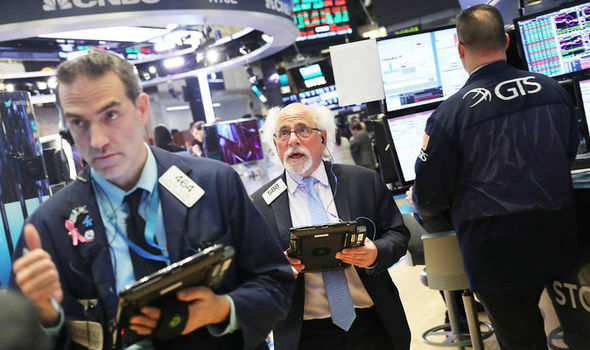 Global investors, who had feared for months that a protracted trade war could hurt economic growth, seemed to cheer the cease-fire on Monday, but U.S. markets slid back on Tuesday as it became clear that there were few concrete commitments that came out of the discussions so far.